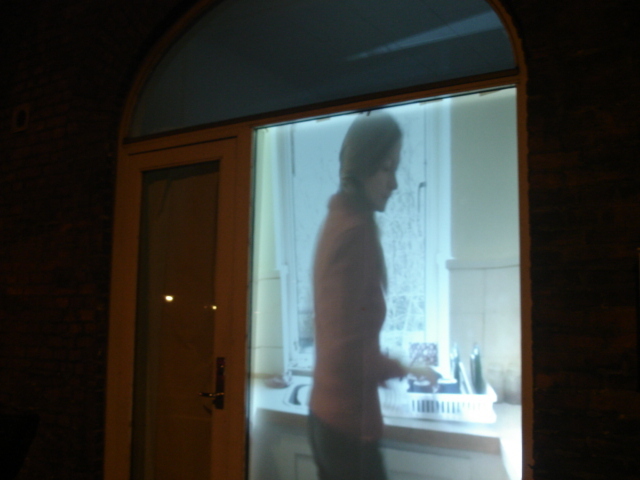 This installation explored the effect of a displacement of private space. 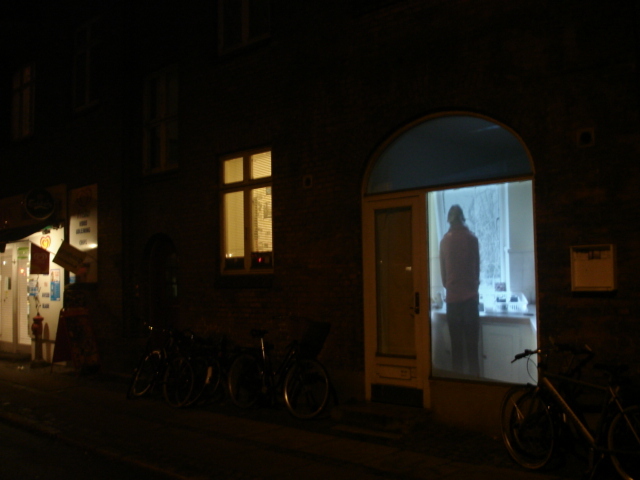 The window was investigated as a surface of projection and as a porous membrane between outside and inside.The video projection showed an interior with a kitchen sink and a kitchen window. A life-size woman entered the room. She started doing the dishes and when the job was done she left the room. 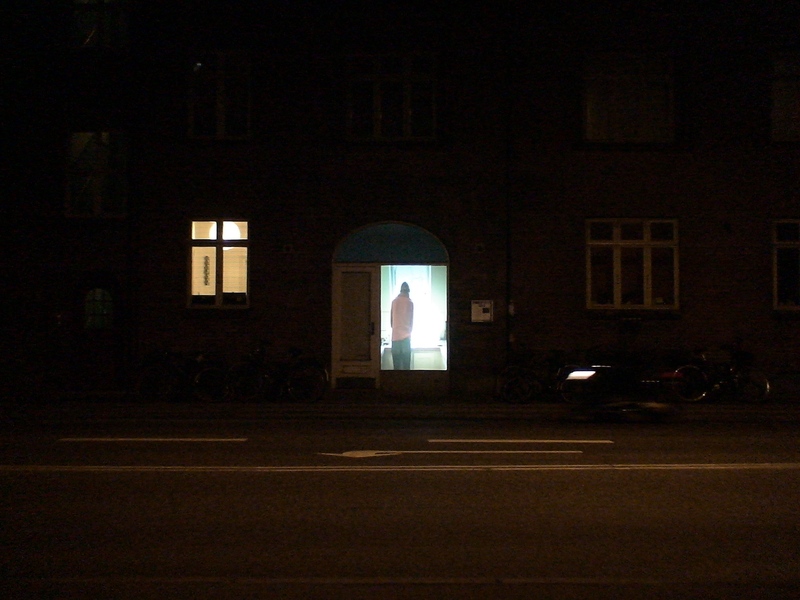 At street level the intimate space was pulled out on the façade and was thus visible in the cityscape, creating an opening of the massive closed façade characterized by absence and bypassing cars.